Need to sell your house fast in Maui? We’d like to make you an “As Is” all-cash offer for your property. And we’ll even GUARANTEE that offer and can have a check in your hand in as few as 15 days — maybe sooner (you tell us how quickly you want to sell). We buy houses Maui, Hawaii in any condition… As Is… let us take over the stress of owning your distressed, unwanted property. We can help you move forward from many different types of situations including (but certainly not limited to)… preventing foreclosure, divorce, relocation, inheriting an unwanted or expensive property, vacant house, upside down with your bank mortgage, behind on mortgage payments, owe property tax liens, downsized and can’t sell your house, requires costly repairs you can’t afford, fire damage, nightmare tenants and more. 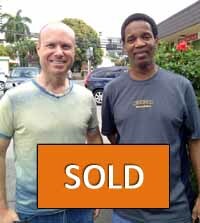 If you have a property in Maui, Hawaii and you need or want to sell it quickly with no hassle, then contact us for an “as is” cash offer to buy it, no fees required. Whether you own a townhouse Kihei, a single family house in Kahului or Wailuku or Hana or a condo in Lahaina, we’d like to give you an As Is cash offer for your property. Even if you’re just considering selling, talk to us so you understand your options. Information is power. Do You Need To Sell Your House in Maui? With a happy customer. We can buy your house on Maui, Hawaii. Contact us today! You’ve tried to sell your Maui house but are having problems and getting frustrated. Maybe you even tried calling a local Maui realtor and listing on the MLS. Sometimes selling a house the traditional way with a real estate agent is not the best course of action for a number of reasons. As you likely know, selling your Maui house this way means having to make sure the house is clean and fixed up, including all deferred repairs and renovations. You also need to be sure you’re working with an agent you trust and who can deliver on their promise. You’ll be bound to a contract and have to deal with a lot of disclosures and paperwork. The biggest potential problem with trying to sell your house with a real estate agent or even selling your house yourself is often times retail home buyers will tie up your property for weeks and cancel on the transaction at the last minute… or even worse, have their bank loan application fall through and have to cancel. It can all add an extraordinary amount of stress, months to the selling process, and in the end after still paying the agent commissions, you may or may not be ahead of the game otherwise. In short… We buy houses Maui, Hawaii…. We help property owners just like you, in all types of situations. From divorce, foreclosure, death of a family member, burdensome rental property, and all kinds of other situations. We buy houses in Maui, Hawaii. Sometimes, those who own a house (or condo) simply have lives that are too busy to take the time to do all of things that typically need to be done to prepare a house to sell on the open market. If that sounds like you, then let us know about the property you’d like to be rid of and sell your house fast for cash. If you prefer to talk to someone in our office before submitting your property information just give us a call today at 808-377-4379. Mahalo!